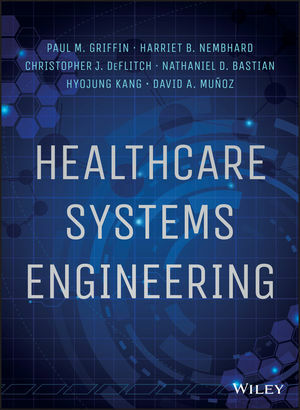 Healthcare Systems Engineering is the first engineering book to cover this emerging field, offering comprehensive coverage of the healthcare system, healthcare delivery, and healthcare systems modeling. Written by leading industrial engineering authorities and a medical doctor specializing in healthcare delivery systems, this book provides a well-rounded resource for readers of a variety of backgrounds. Examples, case studies, and thoughtful learning activities are used to thoroughly explain the concepts presented, including healthcare systems, delivery, quantification, and design. You'll learn how to approach the healthcare industry as a complex system, and apply relevant design and engineering principles and processes to advance improvements. Written with an eye toward practicality, this book is designed to maximize your understanding and help you quickly apply toward solutions for a variety of healthcare challenges. Healthcare systems engineering is a new and complex interdisciplinary field that has emerged to address the myriad challenges facing the healthcare industry in the wake of reform. This book functions as both an introduction and a reference, giving you the knowledge you need to move toward better healthcare delivery. Healthcare systems engineering overlaps with industrial engineering, operations research, and management science, uniting the principles and practices of these fields together in pursuit of optimal healthcare operations. Although collaboration is focused on practitioners, professionals in information technology, policy and administration, public health, and law all play crucial roles in revamping health care systems. Healthcare Systems Engineering is a complete and authoritative reference for stakeholders in any field. PAUL M. GRIFFIN, PHD, is the Joseph C. Mello Chair and Professor of Industrial Engineering at Georgia Tech. HARRIET B. NEMBHARD, PHD, Is a Professor of Industrial Engineering at Pennsylvania State University. She is Director of the Center for Integrated Healthcare Delivery Systems. CHRISTOPHER J. DEFLITCH, MD, is the Chief Medical Information Officer and an Associate Professor of Emergency Medicine at the Pennsylvania State University Hershey Medical Center. NATHANIEL D. BASTIAN, PHD, is a Healthcare Operations Research Analyst in the United States Army Medical Department. HYOJUNG KANG, PHD, is a Research Assistant Professor of Systems and Information Engineering at the University of Virginia. DAVID A. MUÑOZ, PHD, is a consultant at McKinsey & Company.